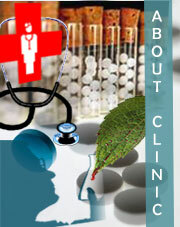 This clinic is being run by two experienced Nepali doctors, graduated in Bachelor of Homeopathic Medicine & Surgery from the University of Calcutta, India. Long term side effects and complications that reflect in a human body after repeated and prolonged use of modern drugs and medicines have become a major cause of concern in a modern society. The problems associated with modern drugs and medicines are compounding day after day and are going to stay for long. Ailments and diseases make people run for these medicines for the sake of getting quick relief, unwary of the fact that some of the medicines cause irreparable loss to human organs. These medicaments constantly damage different systems of the human body and the organs, even result into fatal disorders.